The time has come, following up our hits Mini Racing Adventures, we listen to all your crave about a real racing game for adults. 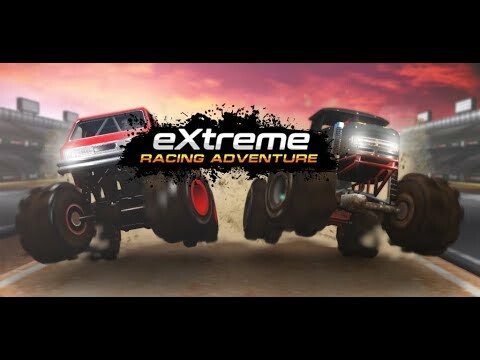 Extreme Racing Adventure is not the childish racing game anymore, it's made for real extreme racer, maniacs like you! The tracks designed carefully day and night by our own hands and more challenging and difficult than our previous game which is intended for children. From bumpy off road track, sandy desert, cliff-like hills, to sloping asphalt. Anything you can't imagine from other toddler racing games out there. The vehicles also designed by snobs like us and from our fans as well. We'll guarantee these beasts will please you to conquer those wild and challenging tracks. And beat your friends too in multiplayer mode. Please don't use review section to ask about your problem, we could miss reading your review among a lot of reviews. Fixed Kingkong day count issue. Disabling matchmaking system, easier to get a match. Option for free coins from ads. Added bonus coins for leading in multiplayer. Fix for messed UI upon receiving Kingkong.